The desperately-awaited Salk IPV, which promised to end the polio epidemics sweeping the country, was announced with great fanfare on April 12, in the midst of Operation Teapot. http://nuclearweaponarchive.org/Usa/Tests/Teapot.html Jonas Salk had made it known since 1952 that he believed he had the “right” formula. 1952 was the year with the most number of polio cases on record in the U.S. Only one year before, in January of ’51, the Nevada Proving Ground (NTS) was activated for testing, initiated by Project Ranger which sent radioactive plumes streaming over the northern half of the nation, leaving radioactive snow on the ground in places like Michigan and New York. Also in 1951, the cells of a particularly aggressive cancer, called HeLa, were taken from a dying patient and distributed for poliovirus vaccine research. No one has ever officially told the public that polio in humans was a result of radiation. An even greater omission suggested by research is that the polio vaccines were conceived or promoted as “dual-purpose” cancer prevention. 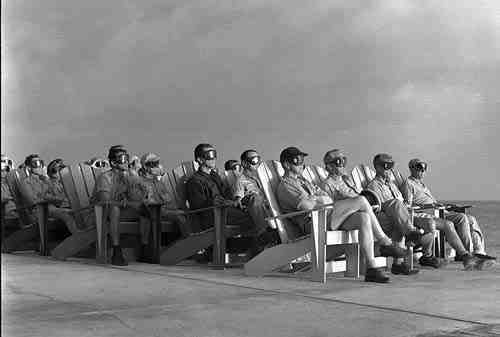 When the Salk IPV had been administered to roughly half of America’s youth population, the military launched its most ambitious and “dirty” atomic weapons tests, initiating the period of peak atmospheric fallout. But that is just an aspect of the 1950s and the Cold War. The greater Whole includes present-day vaccines, unprecendented emerging disease and the genetic engineering of plants, animals and people. 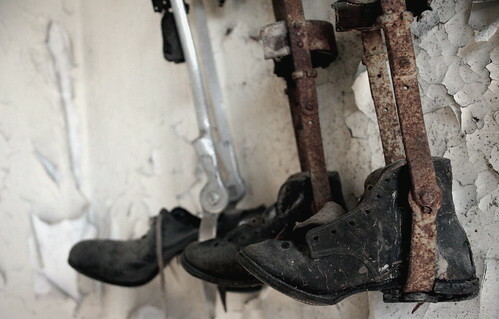 Polio Forever is an effort to tell the Whole story. Polio is a brain infection, sometimes involving the nerves of the spinal cord and sometimes not. It never went away like they say. Most people who get it have a mild case of flu and then it’s gone –almost no one thinks twice about it or ever guesses that it might be something other than the familiar symptoms of a normal ‘bug’. We were taught to believe that the vaccines invented by Jonas Salk and Albert Sabin got rid of polio and only the poorest countries, deprived of vaccines, are still vulnerable to its crippling effects. The World Health Organization’s taking care of it, right?…that’s what we think, so we’re inclined not to pay attention and just keep giving money to the world medical charities. But how is it that people who were properly vaccinated as children end up sick with polio as adults? (They call it age-related illness). How is it that a paralytic disease called Guillain-Barre Syndrome struck down hundreds of Americans in the round of 1976 swine flu vaccines? What’s happening in the world today with Alzheimer’s and Chronic Fatigue Syndrome, MS and other neurological illnesses afflicting so many? Is it normal? Is it contagious? Is it pollution? Does it cause cancer? Is it in the vaccines? A frightening surge of perplexing illnesses, including AIDS and Ebola have emerged since the late 1970s. Are these “polio-like” in some way? Is there a parallel in the 1970s and 80s with the emerging illnesses that followed the Spanish Flu in the 1920s and 30s? More questions than answers appear, but unraveling the history of polio has surprising discoveries in store. The Polio Timeline is a key to this blog and an index of its pages which introduces the various known and related causes of polio: www.polioforever.wordpress.com/polio-timeline/ The timeline is a work-in-progress beginning with the 1789 discovery of uranium coincident with the first recognized polio sufferer, Sir Walter Scott. First, we need to know what polio is, the way medical experts describe it, and second we need to know that the official historical record began erasing polio as quickly as possible in the mid-1950s in order to give the appearance of creating a successful vaccine –successful, not in the ordinary sense, but in the triumphant and heroic sense of the Greatest Medical Achievement of All Time! Did you know that the polio vaccine had such an illustrious past? Antibiotics and X-rays pale by comparison in the mind-numbing mantra of repetition, but the establishment has always had its critics who complained of hype and exaggeration, charging that the government-supported publicity blew the perception of polio out of all proportion to its actual occurrance. In contemporary fashion, we’re induced to believe that Greed drives the motive of unnecessary vaccinations today, turning us all into cynics, yet still people line up and go along with the program of “getting our shots”. We simply haven’t learned anything about the real causes and cures of disease, succumbing to the dilemna of doubt engendered by our lack of knowledge. Even our own experiences are not serving a larger awareness that the workings of biology and ‘pathogens’ could be different from what we’ve been told. It’s not a simple process to tell the story of polio. And yet it’s a profoundly simple story, but there is a mountain of lies in the way. Climbing over that mountain will put you at risk of having your life changed –forever. You will have to believe me when I say it will change for the better. Not climbing it will not preserve the life you have now because at the heart of Polio’s Story are the most fundamental issues of Life and the future of your experience has been pre-determined unless you take an active role in moderating the outcome. The War on Germs is a War on You. Take it personally. Paralytic polio was a rare disease before the Industrial Age but the palsies were not uncommon and known to be caused by toxic medicines containing mercury, arsenic and other assorted ingredients, referred to as “mercurial diseases”. Examples of toxic paralysis are all around us in nature. Snakes, spiders and species of fish in particular emit potent neurotoxins as a means of food gathering and survival defense. Our ancestors coined the word “virus” in its original meaning of “poison”, a concept that still resonates with us now although a false belief persists that viruses are living things, encouraged by the inaccurate use of words like “live” and “killed”. Viruses are biochemical structures with crystalline shapes, folded fragments of DNA with coded genetic information very similar to enzymes. They’re considered key components of evolutionary change, carried in the cells of living organisms which transmit viral ‘programs’ into the greater environment, internally and externally. Viral infections are usually specific to the type of tissue infected because they are biochemically ‘directed’ and require a precise set of conditions to occur, including ‘receptors’ on the surface of susceptible cells. Viral infections can arise when living cells die and decompose, their viral components released in a phenomenon called a “cytopathic effect”. This is why antibiotics don’t work on viral infections, and can actually increase the presence of virus. Poisoning produces just such a torrent of cell death and viral release. In acute cases, paralysis results. It can be local or general, but if the living subject survives and has a healthy immune system, it will create a special virus and a complementary antibody that work together mitigating further effects from the poison. In this way, our bodies become conditioned to the rising presence of toxic chemicals, but 200 years ago, when the first known cases of polio were recorded, the entire population was vulnerable and “naive”, and children were the most vulnerable of all. Large inputs of new chemicals introduced in the 1860s began affecting small pockets of people who shared geographic proximity, industrial labors, or contamination sources. The world’s first large outbreak of over one thousand victims happened in Sweden in 1887-88 –after that, regular outbreaks began occurring in scattered places of the industrialized nations. The United States experienced large outbreaks after 1900 in its big northern cities. People were poor, undernourished and crowded together, but none of that explained the emergence of unknown and rare illnessess and the effect served to heighten the incidental relationship between contagion and “disease agents”. Immigrants were blamed and bad “city milk” was blamed as carriers of unseen entities from unsanitary places. Victorian-era phobias that ran counter to the New Enlightenment of scientism fueled the mounting crisis in the eyes of urban social designers who began waging political battle in the new war on germs. Many of them didn’t know at the time that sanitation and more abundantly nutritious food had already reduced the fearsome plagues of the past, but everywhere new schools of thought and behavior cropped up to support the trends in socialization. Like medieval guilds, medical researchers organized and sought patronage from ideological captains of industry who were eager to exploit new business opportunities. With hindsight, it’s easy to see how the Rothschilds and Rockefellers institutionalized their practice of eugenics. It’s much harder to encompass the scope in our present time and realize that millions of good people have been miseducated into helping them execute their plans. But planned it is. Hand over hand in the great military-industrial complex that we were warned to watch, ironically by the same man under whose tenure the polio vaccine came to fruition, the wheel has come full circle. Nuclear energy was theoretically proposed not later than 1875 by an Englishman named Samuel Tolver Preston. Two decades after that, the first applied nuclear technology, X-ray, was literally in hand, and in just over one decade more, in 1908, its use as a weapon was elucidated for the first time as science fiction by the writer H.G. Wells, who further elaborated on the potential of nuclear bombs in a 1914 story called The World Set Free. Perhaps, as an instrument of his time and associates, Wells was meant to seed the modern imaginations of social thinkers with the idea that Peace was achievable by warfare in the misguided perpetuation of apocalyptic promises. However dimly the First World War is presented to schoolchildren today, it was nevertheless the Great War — the War to End All Wars– and it’s preparation and execution permanently changed the geo-political landscape for ill. Wells’s indelible mark on scientific thought later served to fire the mind of a young Hungarian, Leo Szilard, during the interwar years, who left us his testimony that he dreamed of being the inventor of the first nuclear bomb, but before Szilard’s time, within this window of three decades between Preston’s energy equation (1875) and the beginning of WWI (1914) , the discovery and manipulation of viruses entered the arsenal of the human armory. 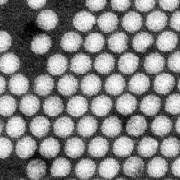 Too small for observation, viruses were procured by the technique of creating a ‘filtrate’ from diseased tissue and inoculating it into a healthy specimen in order to reproduce the original disease; accomplished successfully in 1892 by the Ukrainian, Dmitri Ivanovsky, who passed the Tobacco Mosaic Virus from sick plants to healthy ones. Within a few years, ‘isolates’ were made of animal diseases and the practice of medical experimentation, as we think of it, was off and running. Medical X-rays were announced by their discoverer, Wilhelm Roentgen, in December of 1895 and immediately taken up by adventuring science pioneers whose investigations were as unlimited as their curiosity. Doctors, electrical engineers, and anyone who could build or access X-ray machines were offering ‘treatments’ to the public. One Chicago electrician is on record for giving 1,400 treatments in 1896 and it was not unusual for an ‘X-ray’ to last 30 minutes or an hour. Warnings were almost completely disregarded. Deaths, disfigurements, and diseases began quickly adding up, year after year. In 1903, according to the fluoride expert Dr. Albert Schatz, another radioactive hazard — radon– was added to public drinking water. The discovery of radium  prompted its hasty uptake as a medicament, spurring the invention of radioactive ‘contrast media’ which lit up the soft internal tissues on the X-ray plates. The chemical industry found a use for X-rays analyzing the unique microscopic ‘signature’ diffraction patterns marked on the plates by individual substances, called crystallography. Chemicals and bacteria, rabbits and dogs, people with problems, and exploitive and curious practitioners all came under the influence of X-rays. The field of genetics virtually created itself with the benefit of X-ray technology as reseachers observed profound and permanent changes in the hereditary mutability of exposed organisms. Hermann J. Muller’s fruitfly studies, begun after WWI, are legendary reminders of what a powerful technology can do. Through the use of X-ray experiments, and subsequent studies on fallout, we can finally see the connection to polio and understand how hundreds of disease conditions were brought into unnatural being. “Radiation-Induced changes in the nervous system’s..central role in behavior makes it the presumed primary mediator of radiation-induced performance deficits. “In the brain…different topographical regions may have varying susceptibility to ionizing radiation. “The phenomena of latent Central Nervous System radiation damage (with doses above the threshold) has been well documented. …delayed damage of capillary..cells may occur leading to a breakdown of the blood-brain barrier. This would result in vasogenic edema..and eventually neuronal and myelin degeneration. Clinical evidence also suggests that radiogenic demyelination may occur…transient radiation myelopathy could be the result of temporary demyelination of sensory neurons….vascular and glial changes may be important in the development of late radiation damage to the CNS”. “In addition to axonal demyelination, other direct neuronal damage may occur in the irradiated adult animal….mitotic neurons of the prenatal or neonatal CNS are known to be extremely sensitive to radiation”. …Lower rates of glucose use were found..after irradiation….hippocampal spike discharges..developed soon after irradiation when no other clinical signs of neurological damage or radiation sickness were present. —common lab animals like rabbits, rats and mice had far greater radioresistance than humans and monkeys. intravenous administration. II. Studies on human subjects..
Rochester, NY:Univ. of Rochester Atomic Energy Project, 1948. “Nurnberger, C.E., and Lipscomb, A..
What will radioactivity do to our children? [Interview withDr. many years after irradiation of benign lesions in the neck. 1962. “Lampert, P.W., and Davis, R.L..
“Scholte, P.J. and Sobels, F.H..
and development of leukemia in children. A prospective study. Jonas Salk was recruited to the Armed Forces Epidemiological Board in 1942, commissioned to join his mentor, Thomas Francis Jr., on the task of making an influenza vaccine for the Army. Breakthroughs in the study of flu, and the first known recovery of a human flu virus, had occurred ten years earlier (1931-1933) at the British National Institute for Medical Research, an establishment that was organized at the end of WWI in part because of the Great Spanish Flu pandemic. Polio and influenza have always shared a close relationship, more than just the interest and effort of the same scientists. They are nearly identical viruses –influenza virus being a double-sized version– sharing the same fundamental qualities with little difference in the symptoms of infection. We should be asking our doctors if influenza is also a disease of poisoning by chemicals and radiation. The evidence demonstrates that it is. Salk, Albert Sabin, John Enders, Thomas Rivers, and the members of the Polio Hall of Fame in the mid-20th century were all commissioned officers in the AFEB, although the historical spin suggests that the AFEB was comprised of ‘civilians’, the record proves that the American medical system was an extension of the military, and for all the layers of appearances over the decades, nothing has changed. In 2009 H1N1 influenza-A was recovered at the San Diego Naval Health Research Center weeks before it supposedly erupted in Mexico. The US military maintains a worldwide infrastructure called GEIS to manage our current outbreaks, and a policy among practitioners called “ONE medicine” which is streamlining the pharmaceuticals to treat humans and animals alike http://jenniferlake.wordpress.com/2009/09/12/global-emerging-infections-system/ . One hundred years of mixing our DNA through blood products and culturing viruses to cross-over to other species, imposed by increasingly toxic “selective pressure” on our mutable genomes, has brought a new disease reality to bear on the human ‘herd’. 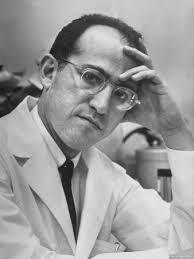 Jonas Salk was rewarded for his services in 1959, when a biomedical institute was arranged for him in the north San Diego community of La Jolla (‘the jewel’). His staff was recruited from within the government’s most prized biological reseach facilities. Geneticists, nuclear physicists and mathematicians held the posts of Fellows. Government “ringers” and international banker-industrialists sat on its Board of Directors. The Salk Institute was one of the gounding legs in a research complex that encompassed the Scripps Institute and the newly created University of California at San Diego, managed from above by its San Francisco regents who oversaw the operations of the Los Alamos National Laboratory, home of the Bomb. One of the most prominent physicists from Los Alamos and founder of General Atomics, Frederic de Hoffman, whose equations were the ‘correct’ ones for making the H-bomb, became a long-standing director of the Salk Institute and a personal mentor to its namesake until his death from AIDS in 1989. Salk, the institute, and the vision that he held for humanity was summed up in his philosophy of ‘metabiology’, a term that perhaps he coined in the belief that organic life should not be limited by the natural workings of chemistry, but in fact, ought to be manipulated to bring forth unknown properties and qualities, advancing the cause of human intervention in mastering his world and universe. The idea is a perfect complement in biological terms to the creation of nuclear energy. The race for an anti-radiation vaccine which would ultimately protect against polio, is best demonstrated by the work and timing of Dr. William McDowell Hammon; an AFEB officer, former medical dean at UCBerkeley, and chief of the epidemiology department at the University of Pittsburgh, from where he organized his infamous “double-blind” experiment using gamma globulin in 1951. Nuclear testing had just come “home” from the South Pacific. 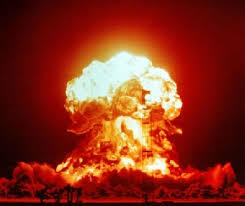 The Nevada Proving Ground was activated for its first atomic detonations in January, and radioactive snow had fallen across the northern path of fallout. The sense among officials was desperate. The March of Dimes had rejected gamma globulin as a prophylactic before the opening of Nevada, but the situation was about to turn grave and no useful radioprotectants had been devised. 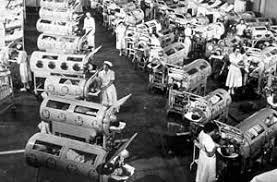 Polio incidence was on the fast-track to tripling from its pre-1950 occurrance. Hammon’s plans were quickly approved and the first test injections were arranged for September in Provo, Utah. “Five weeks of protection” was what Hammon told the press. 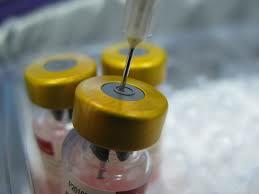 In reality, gamma globulin had shown that it was able to confer passive immunity protection for three months or more. The unique setting of Provo placed it directly in the range of fallout from Nevada and the much closer Dugway Proving Ground, where active radiological and chemical warfare experiments were going on. Choosing the location for other reasons, in retrospect, is a breach of common sense. Provo had no medical hospital and Hammon’s team was forced to daily drive the round-trip to Salt Lake City to use the lab facilities there. Most of all, one needs to make sense of the timing for the ‘summer’ disease that was being tested from September to December. The Nevada Test Site series called Operation Buster-Jangle was scheduled to begin on October 19, six weeks and a day from the beginning of the gamma globulin (GG) trial. Jangle fired its last shot on November 29 and two days later Hammon’s GG team packed up and left. The public, avidly following the polio news in the papers, had been told beforehand that GG would not be a publicly available vaccine no matter the outcomes of Hammon’s experiment. It was just too expensive. The papers called it “practice”. Hammon called the experience in Provo “inconclusive”. The authorites passed it along as “statistically insignificant”. One look at the fallout maps for Buster-Jangle and it can be seen that the mass of radiation clouds avoided Provo with the exception of the first and very last couple of shots. By then, there was no way to continue the experiment and reconcile the effectiveness of the treatment. And then, there are darker possibilities concerning Provo. Some number among the 5,768 children who were injected resided at the State Territorial Asylum. What became of them? Were they unwittingly part of an ongoing experiment? Did someone profit from their polio antibody blood serum? “The foregoing reports indicate that poisons can cause poliomyelitis. It would appear that not any one poison in particular would be responsible for all cases of poliomyelitis but the effect of any one of several could produce the same ultimate result. When a disease is known to be caused by a poison, it is obvious that a search for a germ or virus in relation to it would not be made. Conversely, if a so-called virus is believed to be associated with the disease, then the possibility of poisoning as the cause of the disease would not be considered. It will be shown, moreover, that some so-called virus diseases and virus inclusions can be caused by poisons.”…..
Congress paid attention. In 1954, when the Salk IPV went into wide national and multi-country testing, DDT and other polio-causing substances came under domestic restrictions. The “DDT Is Good For Me” campaign was over. No testing was scheduled for the Nevada Test Site in ’54 while the new Salk vaccine was under trial. Polio was going to go away and the vaccine was going to be a great success. Pesticides could now also cover up the radiation cause of polio. Near the same time as Preston was elucidating his equation for nuclear power in 1875, the ‘late effects’ of polio were becoming known to the early neurology ‘giants’ like Jean-Martin Charcot and Hermann Oppenheim. In his book “The Polio Paradox”, Richard Bruno reviews the “case of the French patient”, a 19-year-old Frenchman who worked in the tanning industry and suffered the weakening and withering of post-polio syndrome. The case was one among a hundred documented before the turn of the 20th century. The poison cause of this patient’s original illness as a young child appears to never have been revealed, neither was his ongoing debility as a chemical handler, for in this era Germ Theory was rooting deep into the Victorian-industrial establishment and displacing the brilliant and accurate theories of Pleomorphism. Louis Pasteur, whose institution and excursions into bacteriology were financed by the French Rothschilds, is famously known to have confessed on his deathbed that the genius of pleomorphism was correct. Pleomorphism (or polymorphism) determines that life arises from chemistry: the chemical constituents of the environment composing a dynamically flexible matrix for lifeforms to adapt and display ‘transitional’ qualities, altering the nature of microbial form and function in an ultimately wholistic gestalt of biology. Modern pleomorphism was born in the mind of Antoine Bechamp and expressed by Claude Bernard’s conception of ‘bioterrain’. Bechamp endured the academic tribulation of increasing marginalization as his work went unfunded and Germ Theory was promoted in politically well-connected circles. The static proposition of germ-caused disease undergirded an ancient phobia that coalesced with the 19th century obsession among western intellectuals with ‘degenerate’ humanity: it was a sociological Perfect Storm that led to “negative eugenics”. By contrast, pleomorphic ideation was like a lifeboat idly strapped to the deck of the Titanic. Few appreciated its utility, except for those who understood the titanic Germ Theory would sink. Neuroanatomy between 1830 and 1880 proved that paralyzing degeneration resulted from the disintegration of the brain and spinal nerves. The field of neurology split off in multiple directions –creating and expanding treatments of surgery, drug therapy, and psychiatry. Parallel developments of eugenics, bacteriology, epidemiology and immunology fueled a young science of medical chemistry that drew its most ardent practitioners from a self-styled elite of the intelligentsia. They practiced as artisans refining a craft, and drew mental inspiration from the deep wells of philosophical and religious tradition: traditions inextricably entwined with the use of drugs as demonstrated by their alchemical forbearers. Investigations and experiments conformed to the inflated ideals of superior-minded cohorts who nested under the wings of industry and academia in an ever-widening rift of class-divided society. At last, technology became the enabling factor in the decisive battles of power over the destiny of mankind. Heady stuff for contemporary thinkers. 90,000 commercial chemicals, gene-destabilizing radiation, and 150 years of conditioned social science later we stand on our own crossroads. Scientists have the means and the will to “build better humans”. The issues are matters of utility. Weapons and Germ Theory have proved-out the degenerate lot of the human species. The Nuclear Age’s Baby-boom generation is mature: yesterday’s polio children are in their Golden Years but Americans would probably not survive another assault of the kind perpetrated in the 1950s. Our bodies are more fragile. 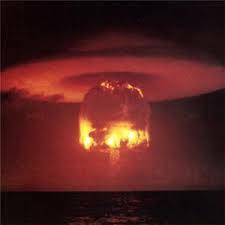 The fallout from atomic-bombs has been estimated to be equivalent to 40,000 Hiroshima-sized blasts, or 16kt of deadly poisons 40,000 times over. It came down with the snow and rain, grew up with the grasses and trees, and the cycle is repeating itself with Chemtrails as we shift from Nuclear to Nanotech, biologically speaking. Nuclear energy is not going away. In fact, more is planned and the medical research hierarchy is devising ways of reconfiguring DNA to become radio-resistant. …it’s Acute Flaccid Paralysis, mercury poisoning, lead poisoning, meningitis, Parkinson’s, Guillain-Barre, MS, ALS, Alzheimer’s and the list goes on. How is that possible? What are the polio-like diseases and how does cancer fit into this picture? Dr. Ralph Scobey called the polio vaccine campaign “the largest medical experiment in history”…it’s still going..
F. D. Roosevelt caught it in 1921, except it’s not contagious. It was called infantile paralysis. He was 39 years old. But FDR didn’t have polio afterall, they said –he had Guillain-Barre Syndrome…..and the picture starts getting a little bigger. They also say that “wild polio” came back to North America becausesome people refuse vaccination. Three years before a few Amish children became sick with polio in 2005, they made the virus from scratch in a lab at Stony Brook in New York. They said from now on, everbody has to have the vaccine –because terrorists might make virus and launch a biological attack. Biological warfare was described by Australia’s Frank Macfarlane Burnet as the best means for a small and scattered population to defend itself against ‘hordes’ of would-be invaders. Burnet recommended ‘intestinal’ agents to his government, assumed to have been readily adopted as a matter of policy. Making your enemies sick affects a great cost upon the living! Isn’t this the situation today? Isn’t chronic illness a great TAX upon the nations, sapping productivity, wealth and resources to be reconcentrated in the hands of others? Isn’t this the very definition of a Cold War, undermining of the foundations of a state? Who benefitted from the ‘intestinal agent’ of polio and when did it start? 1892 marks a watershed year for polio in the United States. Researcher Janine Roberts writes that lead-arsenate was deployed as a pesticide in New England. The same year, Ivanovsky in Russia made the first transfer of virus to healthy plants and in New York City and the owner of R.H. Macy’s department store, millionaire philanthropist Nathan Straus, launched the campaign to pasteurize milk –a campaign that was carried worldwide by this devotedly zealous Zionist who bought the science and support he needed in an alliance with other influential Zionists of his day– Dr. Milton Rosenau, Dr. Abraham Jacobi, Simon Flexner and the Rockefeller Institute. The collaborations for medical research in New York City set a model for establishing the US Public Health Service (1902), developed from its predecessor, the Marine Hospital Service. At the time, few of the ‘enlightened’ leadership in US politics could have foreseen the large outcomes of ‘health’ trends initiated at the beginning of the 20th century, but in the community of researchers, they knew…they always knew. Simon Flexner published his observations in 1896 of gut bacteria “wandering through the intestinal walls” through “imperceptible lesions” that allowed a blood-borne dissemination of pathogens to invade other organs –the lungs, heart, kidneys, etc.– where they then produced diseases of infection, most notably incurable pneumonia. The next year, it was remarked that “artificial treatments” on these colon bacteria caused them to become virulent –the kind of treatments is not described, however, examples in the general literature used chemical poisons and X-rays. In the same publication, Rockefeller’s research magazine the Journal of Experimental Medicine (JEM), articles appeared on the quality and benefits of mother’s milk delivered in the tone of a warning that any substitutes devised by science should seek as close to a real approximation as was technically possible. It simply didn’t happen — to this day, comparable substitutes do not exist. In time, pasteurization, bottle and formula-feeding were pushed as superior and many opportunistic objectives were met. Dairy produce was the most valuable of agricultural products: the industry came under an equalization by the enforced means of pasteurizing: inferior quality milk from “swill dairies” gained a par with wholesome farm product, and the added expenses of processing drove many small farmers out of the marketplace. Hereditary immunity and essential growth factors were lost to the new generations of bottle-babies, and it became very clear that the sensitive human intestinal tract was disarmed and damaged by the combination of ‘dead milk’, chemical poisons, and X-rays. Simon Flexner, as the director of the Rockefeller Institute for Medical Research, held a proprietary exclusivity over polio research that has no equivalent in history. No one at the RIMR was allowed to study polio without his permission. Dr. Flexner reproduced the experiment of poliovirus isolation that was done by Karl Landsteiner in 1908 and soon public health officials were pressured to find it wherever epidemics broke out. The entire field of medical practice and education quickly became dependent on the research institutions like RIMR for information as ‘reform’ was economically forced on a national scale through the imposition of standards derived from the “Flexner Report”, a survey from the Carnegie General Education Board that was conducted by Simon’s younger brother Abraham. 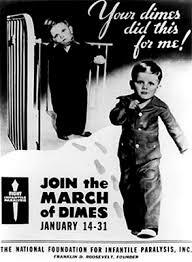 The first great outbreak of polio happened in 1916 as the United States was preparing to enter World War One. On July 31, in the deep of night, a weapons and supply cache amassed by train at the railhead on Black Tom Island that jutted into the NYC harbor blew sky-high, ignited from a barge loaded with TNT. Over 50 explosion-related deaths on the Jersey side were reported in the papers. Black Tom Island was reduced to ash. Within 2 weeks, a small outbreak of a few dozen cases reported in July erupted into thousands of victims throughout the city with the greatest concentration in the burrough of Brooklyn. Unprecendented quarantine was levied on the city’s citizens. Simon Flexner took charge of the Public Health response: children were forcibly taken from their parents; stray animals were euthanized; immigrant neighborhoods were targeted; and detailed ‘health’ surveys collected by an army of nurses. The results of those measures were never made public, even in 1963 when the Rockefeller released some of the documents for academic study. An interesting ‘coincidence’ of timing in 1963 is that the new Salk Institute in California was directed (as chairman, from New York ) by the “Black Tom Island” lawyer, John J. McCloy who prosecuted the bombing case after WWI and found no culprits for the nation’s largest act of domestic terror before the recent events of Oklahoma City and September 11th. Germany was held responsible for WWI reparations in 1938, which it continued to pay on top of WWII reparations. In 1963, it also became public news that the Salk and Sabin vaccines were contaminated with a monkey virus called SV40, now known as the most useful biological agent in creating artificial transgenic lifeforms. How deep does this experiment go? The story of polio makes a whole cloth of the war against people. The viral filtrate obtained by Simon Flexner in 1916 was passaged (attenuated) through the brains of monkeys, producing a highly infectious neurotropic “mixed virus” (MV) strain. More recently, Dr. John Martin, commenting on the practice, said ” the whole philosophy now [is] that it is dangerous to switch species and take potential viruses from one species and introduce them to another…”. In this same WWI era, the viruses of bacteria were also being manipulated by another self-taught microbiologist, Felix d’Herelle, and we are left to wonder if the 1918 outbreak of Spanish Flu resulted from the intentional weaponizing of microbes. The Spanish Flu was a myriad of undefined illnesses. Its most devastating effects closely resembled a hemorrhagic plague that killed within hours. A lesser illness infected the Paris Peace delegations in the months after the November armistice, including Woodrow Wilson and his advisor Edward Mandell House who both experienced a rapid decline in mental and physical health. Franklin Delano Roosevelt as assistant Secretary of the Navy also contracted the Spanish Flu in 1918. Within 3 years, FDR succumbed to polio. The Rockefeller organization ‘spread its wings’ in 1916, forming the International Health Board modeled on the stateside Sanitary Commission which exploited the lack of medical infrastructure in foreign countries and contracted with their governments to create an elaborate system of ‘experiment stations’ and disease surveillance. In this way, Rockefeller money paved a world network of teaching and laboratory facilities in concert with the intrepid medical incursions of French and British neo-colonials. They were carving up the world for its spoils in the name of medicine. In 1955, when Salk IPV was approved and distributed, Nelson Rockefeller clinched the “official U.S. policy” coup of the century, opening the way for both the “Atoms for Peace” global program and an escalation of nuclear arms that became known as MAD (Mutually Assured Destruction). At the time, Rockefeller held the job as “Special Assistant for Psychological Warfare” to President Eisenhower, one of a few unelected federal jobs obtained by Nelson Rockefeller, culminating in his appointed Vice presidency under Gerald Ford, himself appointed. Not by chance, Salk and Sabin effectively pressured Ford to urge Americans to take the swine flu vaccines of 1976. About that time, another round of previously unknown and deadly diseases, like Ebola and Legionnaire’s, was emerging in the world with a fury. Yet to be acknowledged was the phenomenal spread of a syndrome process leading to total immune collapse. Lower lifeforms and transgenic crops are presently experiencing species collapse, and strangely, this is part of the Polio Story too. This graph was designed only to bolster the DDT cause of polio, and yet it more accurately supports the radiation cause, strengthening an argument that pesticide poison data helps to cover-up the mass irradiation of the public. In reality, it does not. Careful perusal of this graph demonstrates radiation exposure, including the accident at Chernobyl (but not Three Mile Island until cumulative problems emerged between 1982-83). There’s nothing on the graph for 1979, yet it is famously known within the polio story that outbreaks among the Amish in 1979 were the “last wild polio” cases in North America. It simply doesn’t rate. The first burp on the line appears in 1887 and disappears completely in 1967. It’s assumed that less than one thousand recorded polio cases in a given year don’t show at all, because Zero cases in any year since the 1890s, the introduction of x-rays and radium, has never happened. In 1983, the line takes off like a rocket with the inclusion of ‘post-polio’ diagnosis (cumulative TMI fallout from ‘venting’), peaking in 1986 (Chernobyl), dropping fast to 1991 and falling as rapidly as the ’83 rise over the course of 1992, where it levels near the case-rate of 10,000. 1916 — needle spike, approx 40,000 cases; 27,000 cases were reported in the US. 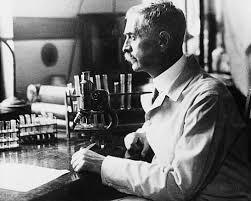 Radium and ‘thorotrast’ went into wide use. 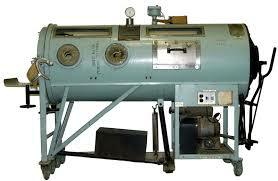 X-ray therapy was enormously popular. DDT use, which is thought to be negligable before the 1930s, in this WWI timeframe is very uncertain as imported chemicals became severely restricted by the war. Nitrates, newly widespread since mass production began in 1913, are a major suspect cofactor in the surge of flu and polio-like illness. 1931 –approx. 15,000 cases; a modest spike for the settling ‘deep’ of the Great Depression. Ernest O. Lawrence was making good on his contract to supply radio-chemicals for experimental medicine as were other contractors in developed nations. This spike, as the highest case rate of the 30s, predates the agricultural reforms of FDR’s New Deal policy in the US and cannot logically be representative of DDT unless the numbers generate from outside the US. (the US accounts for most the world’s polio before the 1970s). Canada became a major exporter of radium, one million times more radioactive than uranium, in 1931. 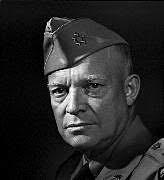 1943 — It’s getting late in the war. All the confounding stresses are present. 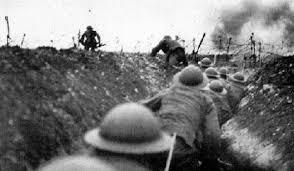 Army history records the greatest number of influenza cases worldwide. Enriched uranium and plutonium production is set into high gear for the Manhattan project. Los Alamos director Robert Oppenheimer proposes that ‘dirty’ radiation devices could be used instead of the sought-after A-bomb (a suggestion passed to him by colleague Enrico Fermi who attained the step of a controlled ‘reactor’ in December ’42). Canada’s first ‘medical’ reactor was up and running by 1943. Did they run contamination experiments? Stafford Warren and Harold Hodge were contaminating the area around the University of Rochester from materials secretly shipped from MIT by Robley Evans. 1945 –Three detonations (Trinity, Hiroshima, and Nagasaki) disperse quantitave atmospheric fallout and the continuing build-up of medicinal reactor products are distributed for biological study. 1946 –Operation Crossroads sent out 2 major blasts of fallout. The second shot, the underwater near surface ‘Baker’ test, was a particularly dirty test. Decontamination proceedures by the USNavy were ineffectual. ‘Hot’ materials and ships were towed to Hawaii and San Francisco for a lengthy clean-up. In Tennessee, Monsanto was packaging radiopharmaceuticals and sending them to labs and hospitals around the country. 1948-49 –Operation Sandstone in ’48 (3 shots) repollutes the global atmosphere with fresh fallout. Health Physics organizes an intensive program of radiological studies using X-rays and radionucleides. The 3 spikes in ’45, ’46, and ’48-49 correspond to testing. The intentional radiation releases, called Green Run, from Hanford, WA began in ’49. In August, the Soviets detonated their first test. There were no tests in 1947 or 1950, hence no spikes on this graph. Could DDT do that? 1952 –all-time peak polio(52 and 53) of 58,000 (+) cases, matched on this graph with the height of 1986 ‘post-polio’. Bioaccumulation of radiation effects were showing. In 1951, the Nevada Test Site ran 2 operations; testing resumed in the spring of 52 and again in 53. The Marshall Islands had a series each year. Radioactvie rain and snow were coming down from NTS fallout, exacerbated by the weather experiments of Irving Langmuir and in the late summer of ’53 the Soviets fired off their first thermonuclear device. Diagnostic criteria began changing where the case numbers fall. 1955 — notch on the graph; Operation Teapot spread fresh fallout in the US after a hiatus at the NTS during ’54. The introduction of SALK vaccine in April contributed ‘provocation’ polio cases. After this point, redefined diagnoses erased the polio label. 1959 — notch on the graph; looking for a toxic radiological cause or confounding cause suggests that the Santa Susana meltdown near Pasadena CA factors into this spike; significant nuclear ballistics were being tested and the USSR was intensively testing large warheads, as was the US in anticipation of a moratorium. Over 200 atomic tests by US personnel were kept off the records, announced finally by Hazel O’Leary in ’94. It’s unknown how many covert missile detonations took place at this time but ballistic advances from earlier tests (57-58) suggest high altitude blasts over open ocean were the likely source of contributing fallout. The line goes flat for 1965, and from 1967 to 1983 –where did the polio-like illness go? DDT usage cannot explain this and the pesticide was not ‘cancelled’ overnight. US DDT production continued until 1972 when it met its first domestic ‘ban’. According to newly instituted enforcement, previously stored (before ’72) DDT was not banned from proscribed use until 1976 when complete discontinuance in the US was finally put in place. DDT continued to be used outside the US. Where are those numbers? 1983 –recognition of ‘post-polio’ as a diagnosable disease entity had been championed since the late 70s. 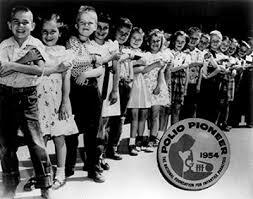 The first organized congresses of post-polio sufferers took place in 1981. Awareness and education accounts for this sudden spike, however, a striking correspondence and example of obfuscation can be drawn from the “venting” of Three Mile Island which grew beyond a local political problem in 1981. [see the Fallout page]. 1986 –Peaking comparable to 1953. April 26, 1986, Ukraine explosion and massive contamination from Chernobyl –this was a horrifically ‘dirty’ and under-reported event. A claim is made that the US used the Chernobyl accident to hide ‘venting’ from the NTS underground. Did other countries with waste and weapons do this as well? Venting from Three-Mile Island continued from reactor core damage which was not fully assessed until 1987. In 1992, the level drops precipitously to a steadier state of ongoing illness. US and treaty nations’ nuclear test operations are supposed to have ceased in this year. The USSR no longer existed. A dip followed by a rise appears in 1997– can this be from radioactive and metallic ingredients in ‘chemtrails’ , or is there a marked increase in nuclear activity and radiation? This blog is a “rolling notebook” and a work in progress with side pages that can be read like chapters in a book.